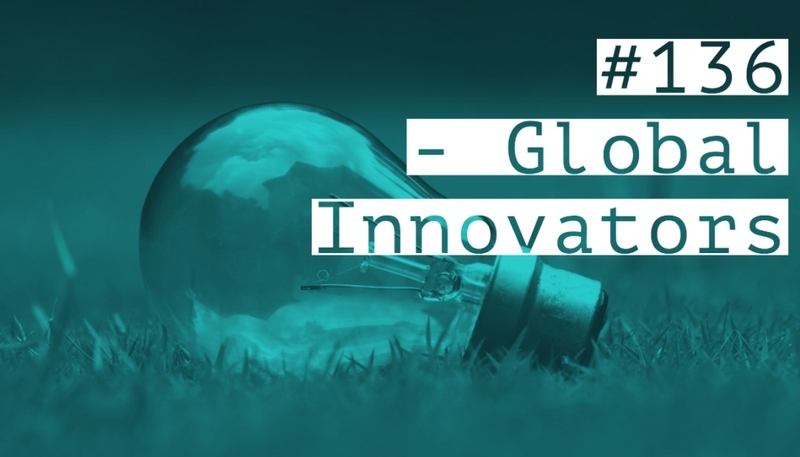 In this week’s episode, we speak to Global innovators from around the world, as recorded at HundrED Summit in Helsinki. There’s a natural link to last week’s guest Pia Pakarinen who talked about entrepreneurialism and education and many of our guests have a background in user design or brand and have found success in applying their thinking to creating bold learning experiences. Plus, find out how the under-18s in your life can enter a new competition for those passionate about audio and podcasting – The Young Arias. Hello, listeners. This week it is the Brexit vote; but in this week’s episode we speak to global innovators from around the world, as recorded at the HundrED Summit in Helsinki. There’s a natural link to last week’s guest Pia Pakarinen, who talks about entrepreneurialism and education; as many of our guests have a background in user design or brand, and have found success in applying their thinking to creating bold learning experiences. What has Harry Potter got to do with maths and science? How do we get deep pedagogical research into our edu? And my favourite; how do we offset our digital bumprint through movement? But before we get started; schools, listen in. 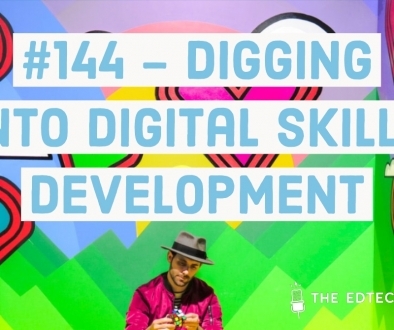 This week I was contacted by Radiocentre about a new competition for under-18s, who have a passion for audio and podcasting; a perfect subject for the EdTech podcast. Here are the team explaining more and sharing how you can get involved with your students. SOPHIE: So I’m very delighted to have on the line Siobhan Kenny, the CEO of Radiocentre; and George Butler, also the marketing lead for Radiocentre. You guys have got some details about an exciting competition relevant to our listeners, so thanks for joining this morning. I thought perhaps you could just jump in and explain what this competition is, and why everyone should pay attention and enter as well. SIOBHAN: Okay; well, thanks for that great introduction. What we saw was a lot of talent out there among young people between the ages of 8 and 18, who are making their own radio/audio in all sorts of different ways. We wanted to acknowledge that, so we’ve joined together with the whole commercial radio sector and the BBC to set up these new awards called the Young Arias. There’s all sorts of categories, so whatever it is you’re good at you can enter; but basically we want to recognise all the people who are doing amazing work out there. GEORGE: I think what we found – we’ve been working on this for over a year now – we set it up because as Siobhan said, there are young people interested in radio and interested in audio, making podcasts; but actually what we didn’t realise was that there are quite so many schools actively involved in this. There are nearly a thousand schools in the UK which have radio stations in or some sort of audio equipment, and they’re making audio as part of their lessons; in many ways it’s part of their teaching plans, as well as just being something which is fun and something social. SOPHIE: If I’m a school listening in – if I’m a teacher or a head teacher, or responsible for an academy – what are the key dates and what criteria are there? GEORGE: If you are either a school with a station, or you’ve got students in your school who you know are actively involved in making audio podcasts, radio dramas, whatever it may be; then here’s how it works. On the 4th of February the Young Arias will open for entries; it’s completely free to enter, you can head to our website (http://youngarias.co.uk/) and find out all the details there. That’s where you can enter; there’s all the information about how to enter, what the categories are, and also some of the Money Can’t Buy prises which students and schools can win. The entry process is from the 4th of February through to late March; and after that in the middle of May, you’ve got our really special awards event at the BBC Radio Theatre, which is going to be full of really great big-name presenters and also some really cool music acts as well. SOPHIE: That’s amazing; and in terms of Radiocentre, if I understand correctly you’re the industry body for commercial radio. So this is also a chance, I would imagine, to bring up that next generation of talent and keep the innovation in radio going as well? SIOBHAN: Absolutely right; that’s one of our key motivators, apart from just knowing that there’s loads of young kids doing great things out there. But we know that we need to bring on the next generation of talent; there’s already an awards system for students – Student Radio Awards are very well-established – but there was actually nothing for a younger generation. So that’s exactly what we want to do; reach out, get a much more diverse talent pool into radio for the next generation, to make it just as fabulous as it already is. SOPHIE: So if you’re under 18 and you’re listening – or you’re responsible for people that are under 18, making audio in whatever form that might be – then check it out. So it’s the Young Arias, and thanks both very much for coming on the show as well. GEORGE: Thanks for having us. SOPHIE: thanks to the Young Arias; and good luck with your entries, listeners! and Serdar Ferit on compassion and empathy. Enjoy! SOPHIE: I’m here with Jessica Spencer-Keyse from HundrED; welcome. SOPHIE: And yeah, this is part of the Helsinki Education Week; is that correct? SOPHIE: HundrED Summit’s in its second year, and it’s growing all the time; so we’re now part of this larger Education Week, and a fantastic celebration of just all these education change-makers from around the world. People use that term kind of loosely, but I think that’s definitely true to say of who’s here this week. So what I was hoping is – because we have these interviews from HundrED for people listening in – what’s happening here; what’s HundrED up to; and also what are you particularly passionate about during this week, the conversations that are happening? JESSICA: This week is fantastic, because after a year of research of innovations worldwide, a selected 100 are invited to Finland here in Helsinki; to share about their work, to learn from each other and to collaborate. And it’s been really good this year to integrate it within the entirety of Helsinki, so that the Finnish teachers have an opportunity to learn from people around the world and vice versa; the people from around the world can come here and understand what Finnish education is about and see it in action. So that’s been absolutely great; HundrED is looking to take this opportunity to really bring a positive message to education, and to really show how you can put the problems into action. SOPHIE: Earlier on this morning, I believe you were on a panel around students being part of that conversation as well; and we had a little chat about general obsession around PISA tables, and perhaps, how do we integrate this idea of student involvement? 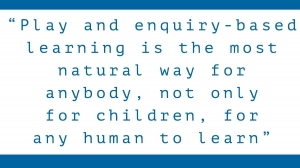 To what extent which countries are leading on that; and things being student-led or learner-led, as opposed to perhaps just teacher-led as well? And I think what we learn by gaining this insight, is that they have such incredible answers; so much to give in terms of their understanding of what they need. Also, it’s so important to have that autonomy, because as an individual we all want to have autonomy of our own learning – to be part of that collective – and so did the students. It’s also enshrined in the United Nations Children’s Rights Act; so in 1989 it was passed, and so we’re really trying to take that and put it into practice. An innovation that does that really well, for example, is Challenge 59, one of the ones that was selected; they’re actually from London, and they really make sure that they really ask the children, ‘What do you want to do? Are you enjoying this?’, and getting that feedback. 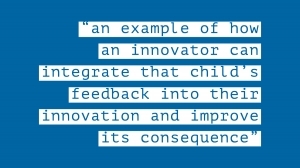 So that’s an example of how an innovator can integrate that child’s feedback into their innovation, and improve as a consequence. SOPHIE: What did Challenge 59 do? JESSICA: They go into schools in East London, and they work with children to try and improve – in 59 seconds – their health and well-being; and they do this often through dance. So through this different period of exercises, it enables the teachers to really harness the children’s playfulness and energy; and they record it and they share this online, and they integrate it into physical education classes and arts classes, to really give them a sense of themself and their well-being and how they can express themselves. JESSICA: That’s true. If we’re talking about student voice, there’s Teach The Teacher; it’s a professional development program, specifically set up and led by the students in the school. So they spend time with the teacher saying ‘This is what we’d like to improve, and this is why; and we’re gonna teach you how to do that, because I think we know how to as well.’ So really running with that in the centre of it, that’s amazing. Then there’s also Shadow A Student from School Retool, where every year the principal essentially shadows the students and understands the school from their perspective; and they really integrate that into the development. JESSICA: Yeah; and the latest and the most innovative impact with the school models are really using this at the centre. 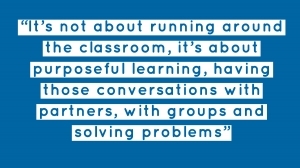 So really during school-driven, personalised, passion-based learning; and they see incredible learning outcomes as a consequence. There’s so much more mastery and sense of self, and they far exceed the assessments that they have to do as a consequence. SOPHIE: So what’s next for you? I understand that you’re moving on from HundrED? JESSICA: I’ll be continuing to support HundrED in their research – so looking at how and why innovation spreads – and then after that, also considering the way evidence can be integrated in education in a better way. So how do all of those incredible pieces of research – actually like [UNCLEAR] ‘PASI’ was talking about this morning – how do they make their way through? If so many people aren’t reading them and understanding them and have that knowledge integrated, I’m fascinated by coming up with the solution to help with that. SOPHIE: Okay interesting; thank you very much, Jessica. I am really delighted to be at the HundrED summit for the first time; I’m staying in a very trendy loft apartment somewhere down in the centre of town, which is a former book warehouse which comes replete with concrete pillars which I managed to prang my head into in the middle of the night! Very disorientated; but its trendy, so that’s fine. Anyhow, I am delighted to take my first interview of the day with Milla Magia Kokko; have I pronounced that terribly? MILLA: Milla Kokko is okay! SOPHIE: -Who is the CEO and co-founder at HEI Schools. Milla is one of the HundrED innovations that are being celebrated here today from around the world; and in this instance, a bit more local to Helsinki in Finland. So let’s dive straight into it, Milla; if you could just introduce who you are, and on the top level what you do as well…. Thanks; really nice to meet you here in Helsinki, and welcome. I hope you won’t hit your head again! MILLA: Me too! 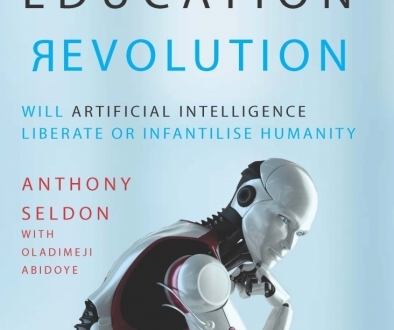 …My background is actually not in education at all, which is fair to say when we’re talking about education innovation. So we have a great, great education team; but I personally have been working with Finnish and international brands and concepts and design for 20-something years. But that has a very good reason; that’s why I’m still sitting and standing. Finnish education has been recognised in the world for quite some time; but the problem has been that whereas the Finnish education system is 99% public, we haven’t got really anything to offer outside of Finland. The Learnit schedule is now published. View here. Learnit’s conversation is open and honest. It’s a conversation about how to give everyone, regardless of age, ethnicity or wealth, the opportunity to reach their greatest potential in a rapidly evolving world. It is untethered by legacy, politics or geography. Learnit’s 150+ international speakers are selected based on merit, not pay-to-play. Learnit takes place 23-25 January 2019 at the QEii Center in Westminster, London. Join Learnit’s new community and conversation, and help change the world. 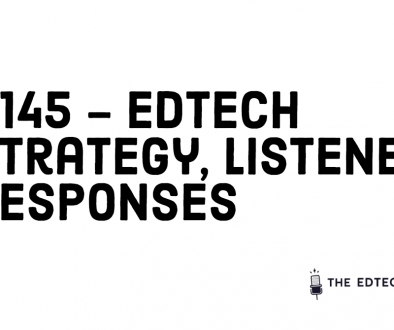 #135 – FINLAND: “It’s time to come up with new innovations” #137 – What does the Secretary of State for Education have in store for Edtech in England?